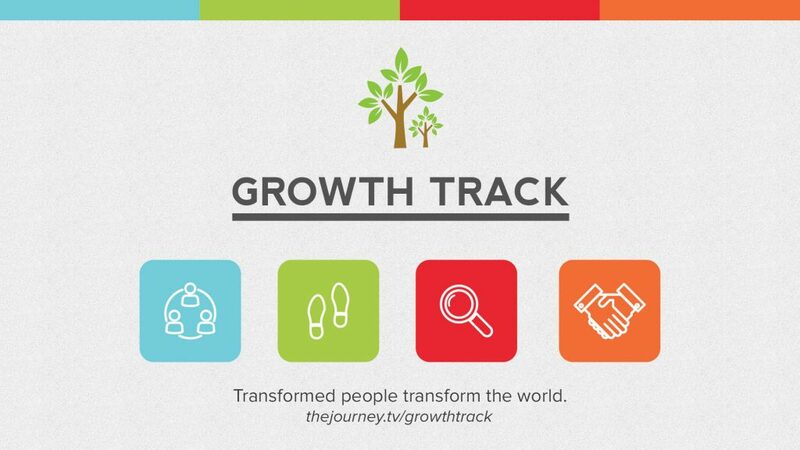 The Growth Track is designed to help you become a fully-devoted follower of Jesus Christ. From the initial decision to find out more about the vision of The Journey Church, to a fulfilling leadership role on our team, we will provide you with a path to experience growth and fulfillment. It is comprised of four specifically designed monthly events listed below. Each event helps you take a step towards God’s plan of fulfillment for your life. Ultimately, our goal is to help you connect with the God that created you, connect with fellow believers, discover you God given purpose and make a difference in the world around you. Connect with community. Become better acquainted with the story, vision and values of The Journey Church. This is an introduction to who we are and why we are. Follow Christ. Explore the essential tools and beliefs that produce a more meaningful relationship with Christ. These are the foundations of your journey as a follower of Christ. Come to connect with others and have the opportunity to become a church member. Discover You and understand how your personal and spiritual makeup reveals a path to your purpose. We believe God created every person with a specific plan for their life. Engage in ministry. Find out more about the community, growth, and fulfillment that comes from being in ministry.